Since it’s urgent to replace lost car keys, we provide 24 hour service in Aurora, Ontario. Call us if you need our help. Lost the transponder key? Get in touch with us. 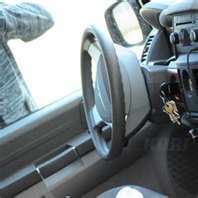 We provide transponder car key replacement in Aurora. Our auto key techs are trained to replace most car keys. We have experience with most makes and models. There are tools for accurate key cutting in our trucks but also special, advanced equipment for the programming of chip keys. Turn to Locksmith Aurora for such services. We guarantee very competitive car key replacement service. Not only do we come fast to replace the car key, but also charge reasonably. Replacing the car key requires a lot of experience. It’s a job that also requires the right equipment, especially if this is a high tech chip key. You can rest assured that our company employs specialized techs and they all work with sophisticated tools and special software in order to replace and program transponder keys. So you can trust that the car locksmith service is performed right. Did the key break in the ignition? Our tech won’t only replace the key but also extract it. Whether the key is lost or broken, our pro will have the new transponder or standard ignition car key made in a matter of minutes. We offer our service as quickly as possible. You can rely on us 24/7. Our techs are equipped and knowledgeable. The service is affordable. So, you have plenty of reasons for getting in touch with our company for Aurora car key replacement. Need our auto lock & key specialist now? Call us.